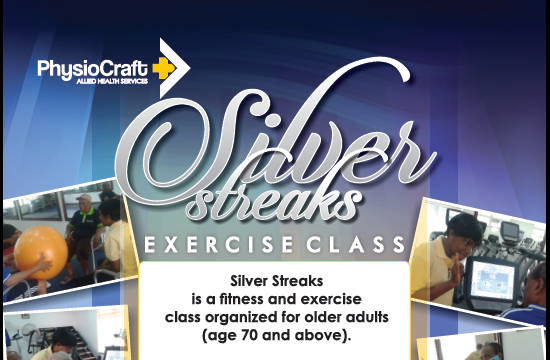 Silver Streaks is a fitness and exercise class organized for older adults (age 70 and above). As physiotherapists we have worked with older adults over many years. All our clients report less pain and stiffness in their joints, improvement in general health, less dependence on people for help, improved balance and strength which helps prevent falls and injuries. We look forward to working with you and we promise a fantastic and serene environment, activities that are fun and stimulating, a small sized class to address your specific challenge and most importantly fun, knowledgeable and professional staff. Classes hold every Friday at 11.00am at Number 6, Bank road, Ikoyi, Lagos. Dress code: Light and comfortable sports outfit with proper sports foot wear.